Rev. 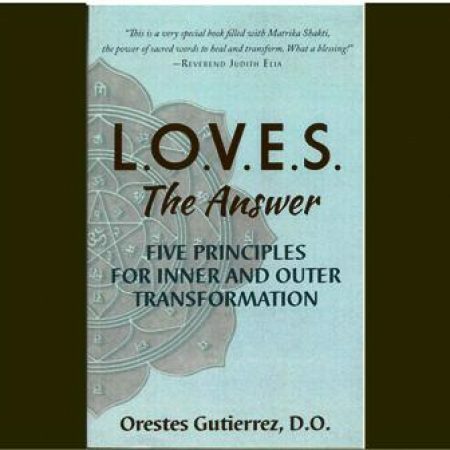 Judi met Orestes Gutierrez, his wife Pamela and their three beautiful young children in Jacksonville, FL when she served as Minister at Unity Church for Creative Living. Orestes was completing his residency at the Mayo Clinic, and Pam served with her on the Unity Board of Trustees. When Orestes asked Rev. Judi to preview the L.O.V.E.S. manuscript she was experiencing severe back pain. As she read the book she continued to feel better until she realized her back pain was gone. Rev. Judi believes this is a very special book filled with Matrika Shakti, the power of sacred words to heal and transform. Copies of the Book is available for sale in our Bookstore and at Amazon.com for $12.95. Community is the next Buddha!